Cover reveal for spanking new NA Urban Fantasy by H.A. Titus! I have some exciting news today. My friend, H. A. Titus, will soon release her latest novel, Forged Steel. And you get a sneak peak of the cover! Forged Steel is a new adult urban fantasy by H. A. Titus, releasing on July 17th. It will be available in print (Amazon) and e-book (Amazon, Barnes & Noble, Kobo, iBooks, and Scribd) If you’d like a chance to win free books, ask questions, and hear trivia about the writing/publishing of Forged Steel, there will be a Facebook event party on July 17th from 7-9 pm eastern time on the author’s page, H. A. Titus Author. 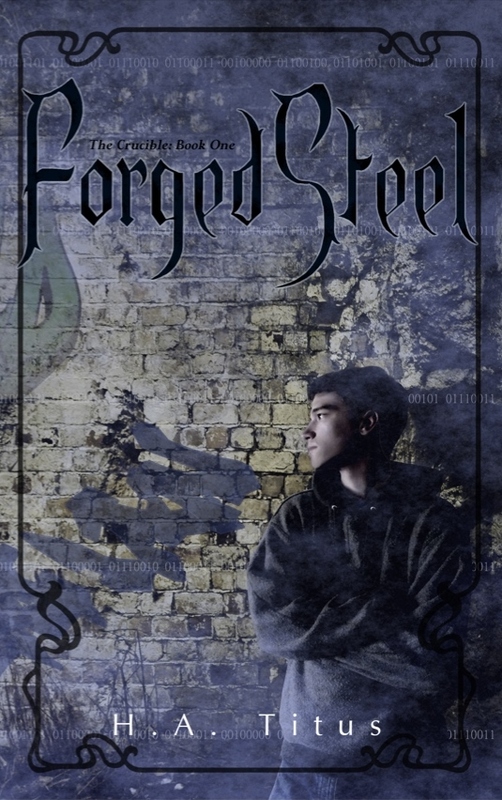 Check out the first five chapters now on Wattpad, and then be sure to order your very own copy of Forged Steel! Also, don’t forget to join in the fun at the Facebook party, and connect with H.A. online.